(VEN) - After nearly 10 years of operation, the Vietnam Airlines Engineering Company (VAECO) can fully handle aircraft maintenance and repairing. 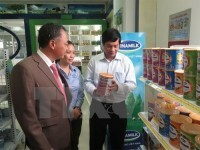 VAECO General Director Mai Tuan Anh talked about the company in an interview with Vietnam Economic News’ Thu Huong. What is the VAECO’s biggest success after nearly 10 years of operation? In line with the development orientation of the Vietnamese aviation industry, VAECO was formed according to Prime Ministerial Decision 1276/QD-TTg dated September 26, 2006 from the A75 Aircraft Maintenance Center, A76 Aircraft Maintenance Center, and Vietnam Airlines Technical Department in the middle of Vietnam, and officially came into operation on January 1, 2009 according to maintenance organization standards of the Civil Aviation Authority of Vietnam (CAAV). Over the past 10 years, with its development and integration motto, VAECO has constantly invested and developed to meet the highest aircraft maintenance standards. Apart from the aircraft maintainer certification granted by the CAAV, VAECO was awarded the FAR-145 repair stations certificate by the US Federal Aviation Administration (FAA) in 2011, the EASA-145 approval certificate by the European Aviation Safety Agency (EASA) in March 2017, and approval certificates by more than 20 aviation authorities such as the Republic of Korea (RoK), Singapore, Qatar, China, and Japan, contributing to enhancing the company’s competitiveness and integration. VAECO has a total of six hangars at two main bases (Hanoi and Ho Chi Minh City) which are suitable for maintaining both narrow and wide-bodied aircraft. The company is capable of maintaining and repairing all types of aircrafts, including such advanced models as Airbus A350 and Boeing B787 of Vietnam Airlines and more than 60 foreign airlines flying to Vietnam. Another milestone in the company’s development and integration was also recorded. Accordingly, a memorandum of understanding (MoU) to establish a joint venture between Vietnam Airlines and Singapore Technologies Aerospace Ltd (ST Aerospace) was signed on April 26 under the witness of Prime Minister Nguyen Xuan Phuc. The joint venture is expected to help Vietnam Airlines to shorten the turnaround time for aircraft component maintenance and repairs, thus reducing costs and leading to higher operational efficiency. The joint venture will focus on the maintenance, repair and overhaul of aircraft’s high-tech components with an average maintenance of 17,500 components per year. What is the cause of the successes? One of the important factors contributing to the success of VAECO is high-quality human resources. As human resources play an important and prerequisite role, the company has to train its own human resources, with the establishment of VAECO’s training center with sufficient equipment to conduct aircraft maintenance training courses. VAECO’s training center has had a team of professional teachers with solid expertise, good communication skills, and practical experiences. VAECO has also built a team of management and technical staff with high professional level and good sense of discipline and responsibility. The company is fully confident and active in the organization of training courses to meet the current needs. The number of technicians with CRS certification increases year by year (an average of 15-20 percent per year). By the end of June 2018, the company had 1,400 employees with CRS certification, of which 305 had CRS certification for two types of aircraft or more. 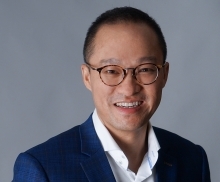 The company’s employees can completely replace foreign experts, helping reduce costs and confirm the correctness in building the training policy of human resources. In December 2017, VAECO signed a cooperation agreement with the University of Science and Technology of Hanoi (USTH) to jointly train technicians and aviation managers for the airline. Accordingly, they will cooperate in a Bachelor of Aviation Technology program and a Master of International Aviation Transport Management program. Under the deal, USTH will promote the two programs and enroll students, as well as provide facilities and lecturers to make the programs efficient. Meanwhile, Vietnam Airlines will annually recruit 30 graduates from the bachelor program in aeronautical engineering for the air carrier or VAECO in the 2018-2022 period. The airline will choose post-graduates to attend the Master’s program as well. What is the company’s plan in the coming time? In the first half of 2018, VAECO served and ensured safety of more than 85,000 flights of Vietnam Airlines and VAECO foreign customers, including many VIP flights. 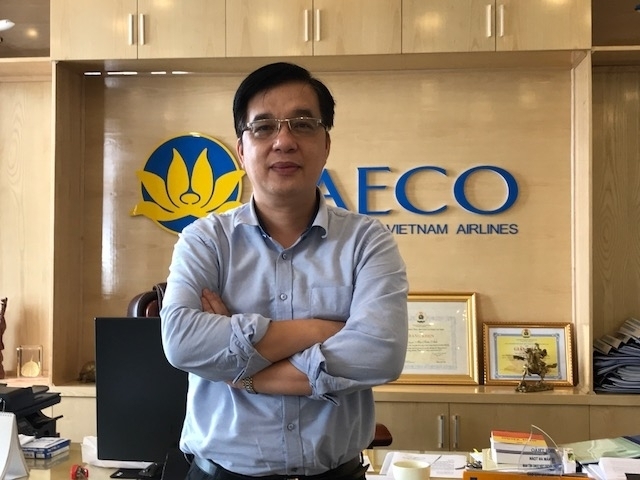 Moreover, VAECO also completed more than 370 maintenance work-packages for Vietnam Airlines and customers, an increase of 20 percent compared to a year ago. 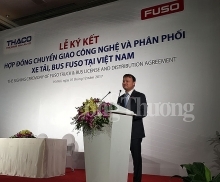 Pursuing safety, quality and efficiency, VAECO will continue to develop its facilities, human resources, and management system to improve service quality and business efficiency, especially the company’s competitiveness, in the context of integration into foreign aircraft maintenance markets in order to meet all stringent aircraft maintenance requirements in the world, contributing to turning Vietnam into a reliable aircraft maintenance center in the region and the rest of the world. 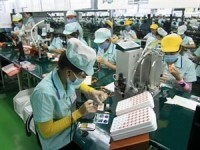 The company plans to invest in a maintenance management program costing tens of millions of US dollar, as well as invest more than VND1 trillion in hangars in Da Nang, Noi Bai and Cam Ranh.